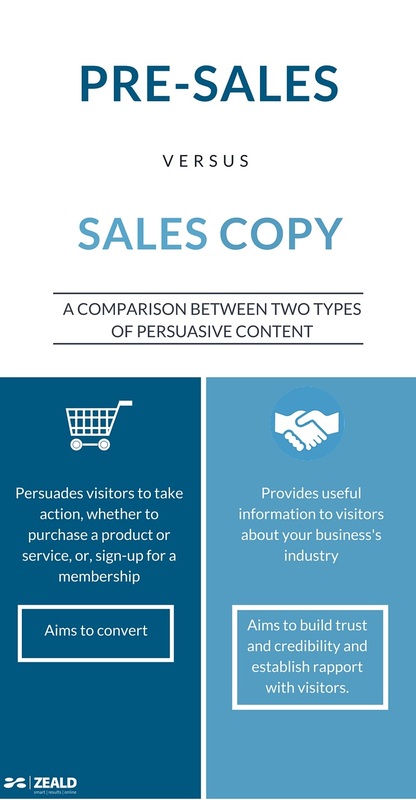 A highly persuasive website must contain a balanced mix of pre-sales content and sales copies. What’s the difference between the two? Let’s take a minute to explore and understand what pre-sales contents and sales copies are. Remember that a good website must have fantastic sales copies supported by pre-sales contents.